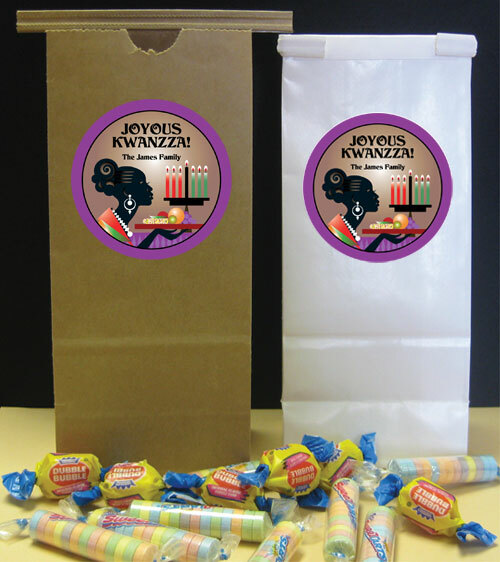 Kwanzaa Party Favors. 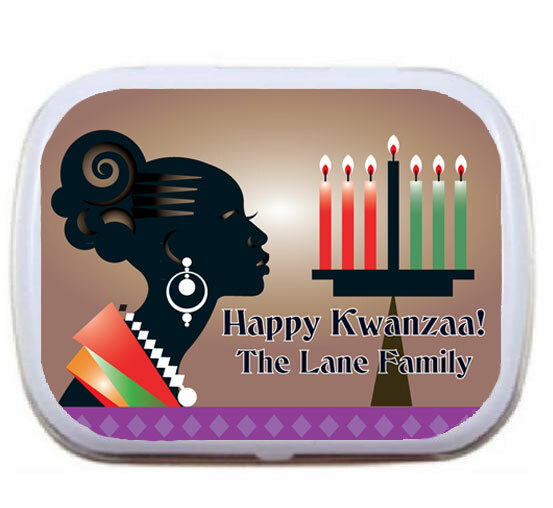 Personalized. 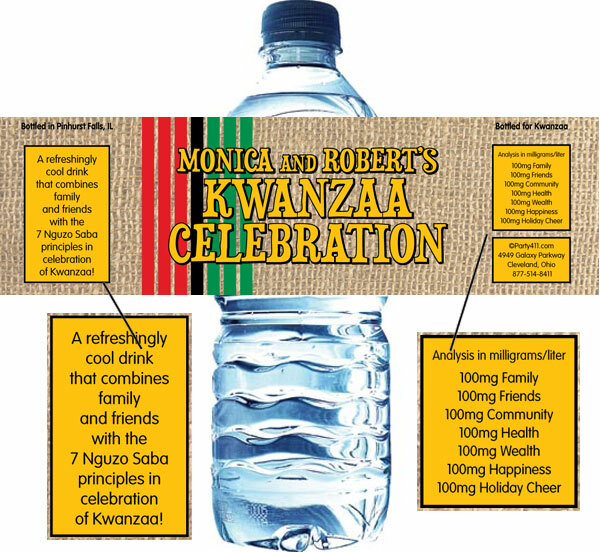 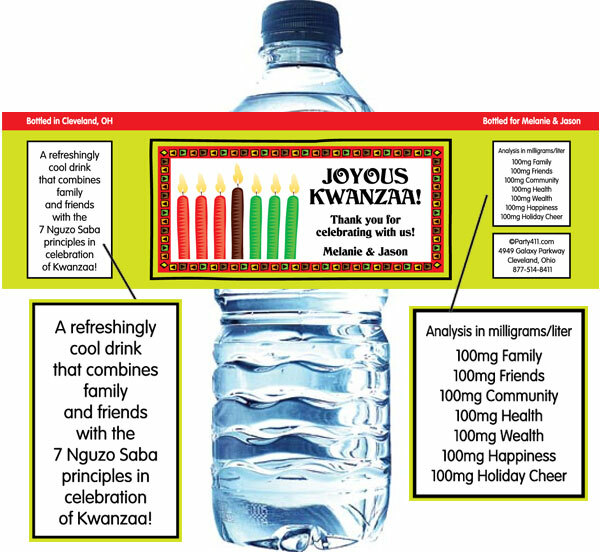 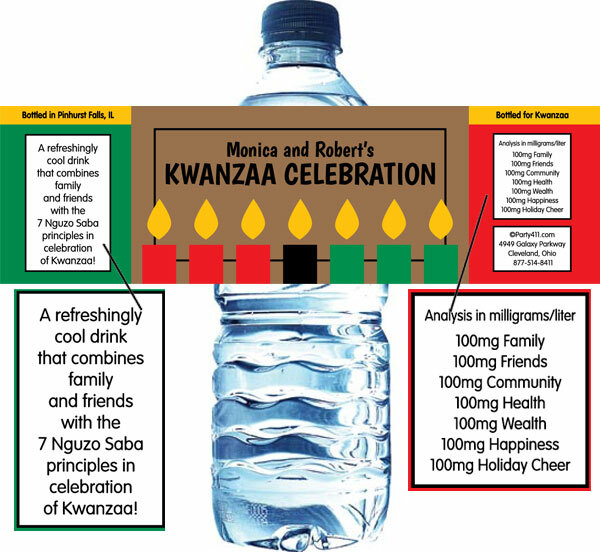 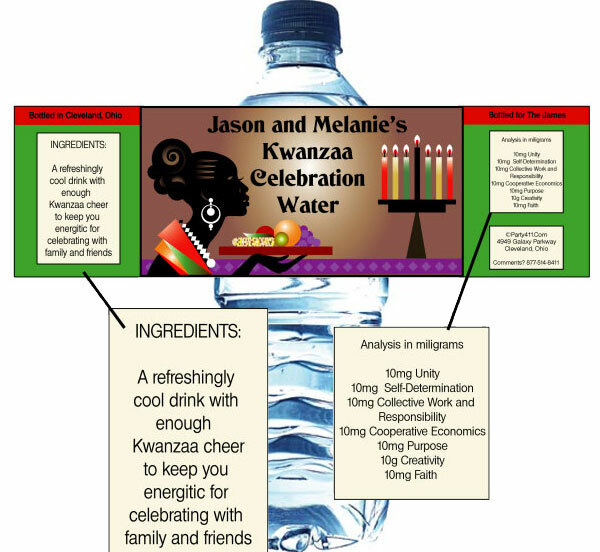 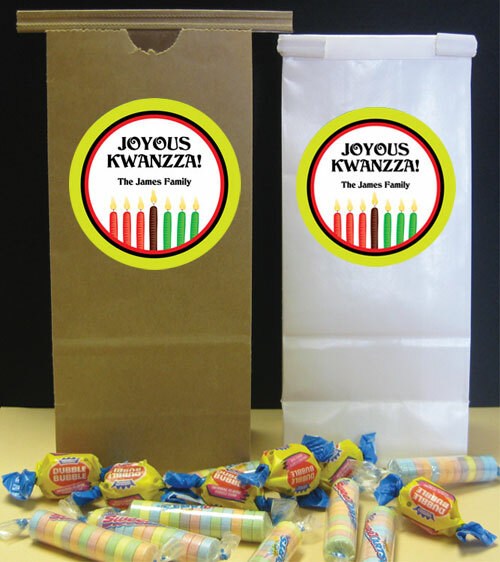 These are fun and special favors for your Kwanzaa celebration. 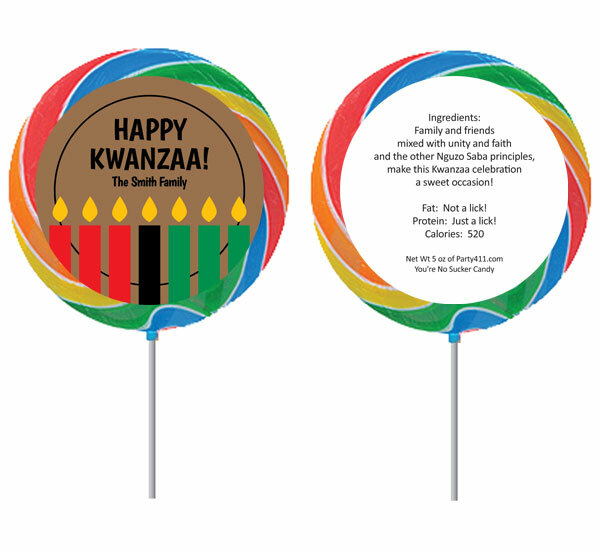 This lollipop party favor is perfect for a Kwanzaa party! 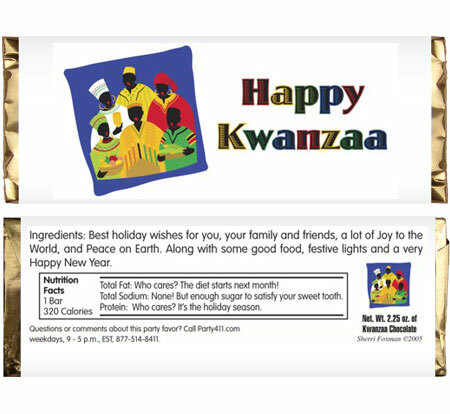 Food, family and friends. 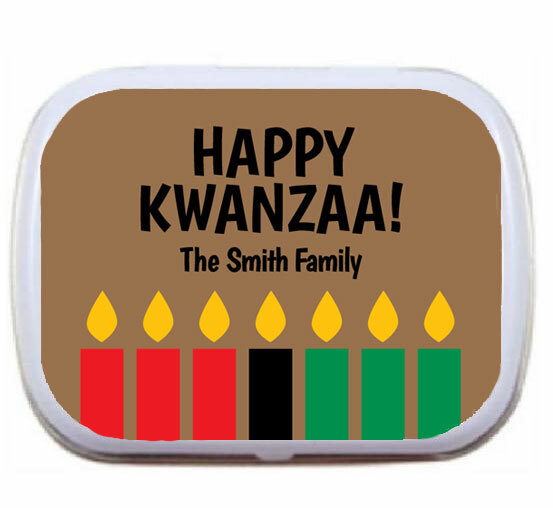 Probably includes chocolate! 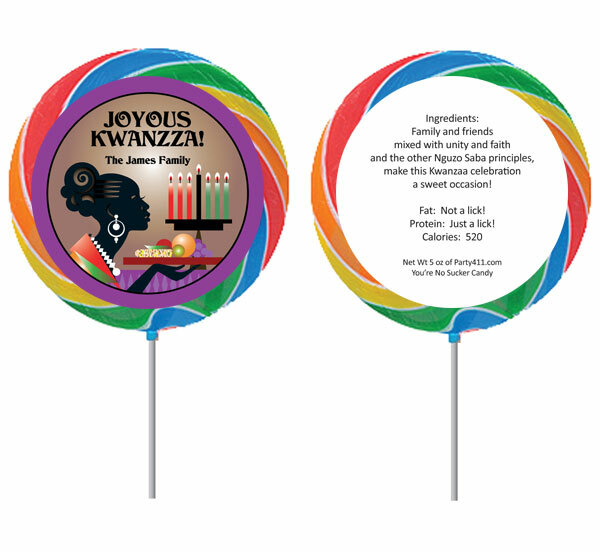 Celebrate with a personalized Kwanzaa kinara lollipop party favor! 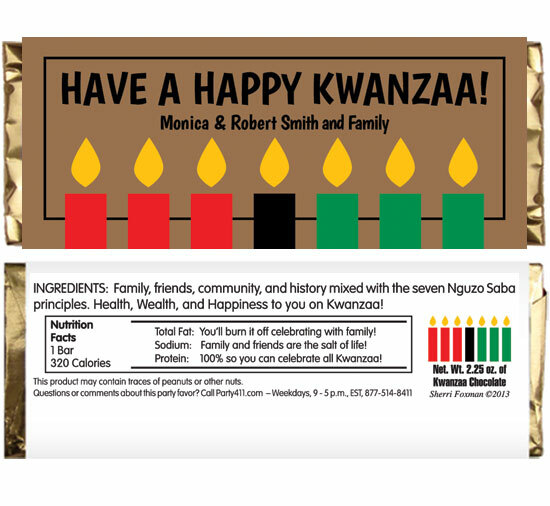 This candy bar with personalized wrapper is perfect for Kwanzaa! 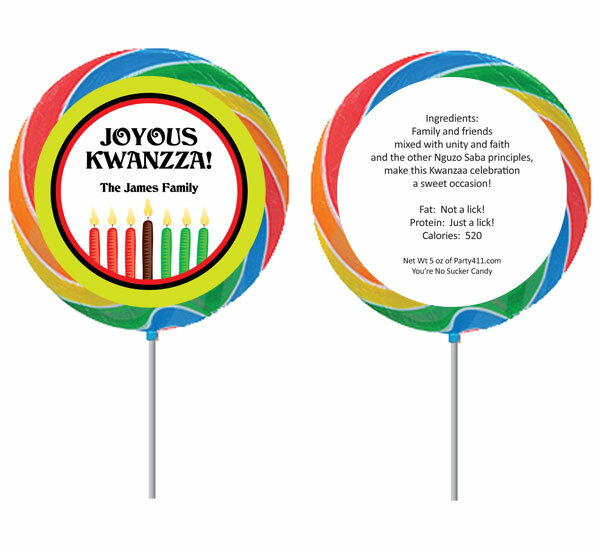 Celebrate with a personalized Kwanzaa lollipop party favor! 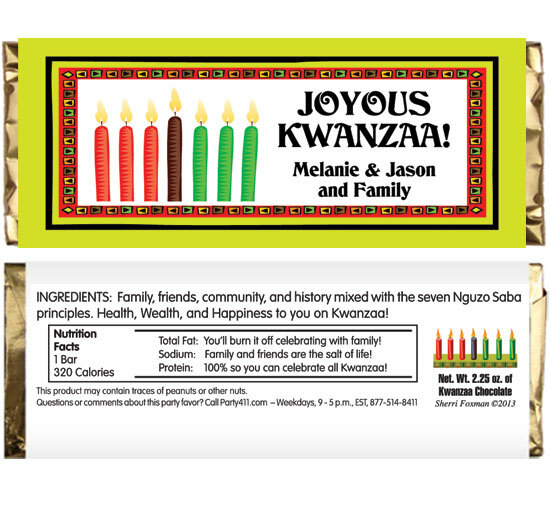 This candy bar with personalized wrapper is perfect for a Kwanzaa Party! 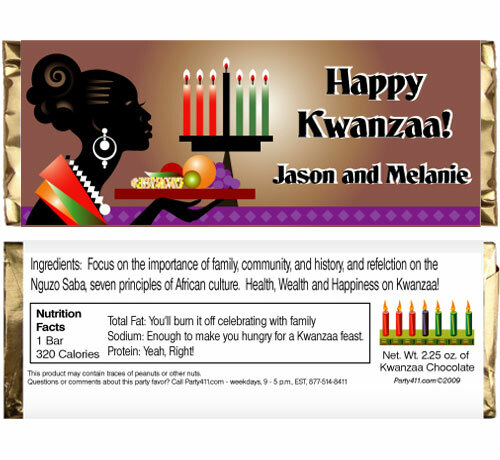 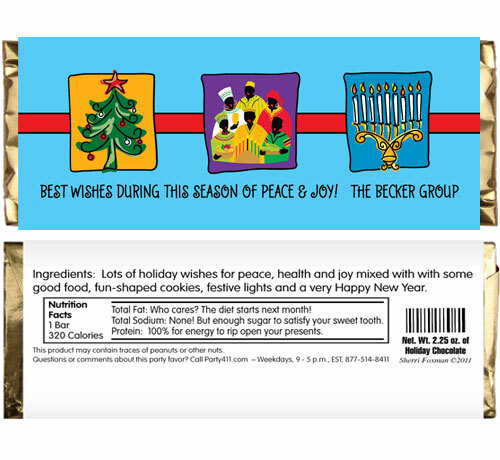 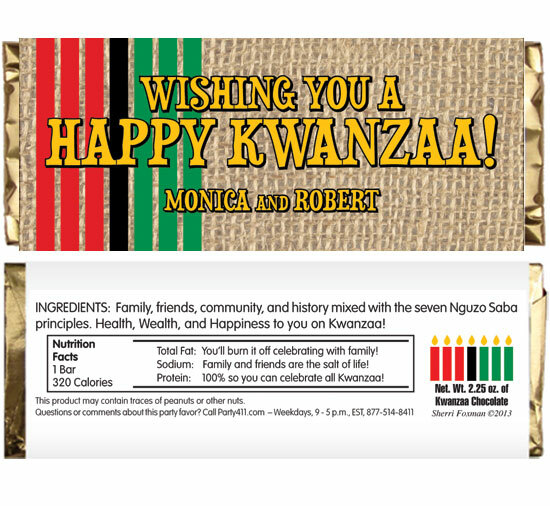 This personalized candy bar wrapper is perfect for your Kwanzaa celebration. 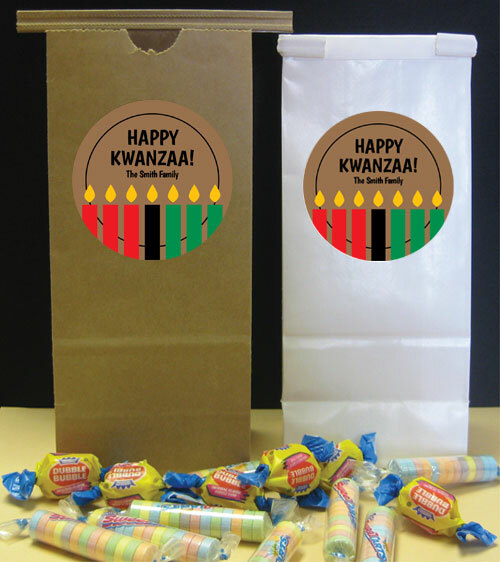 A fun party favor featuring Christmas, Kwanzaa and Chanukah!